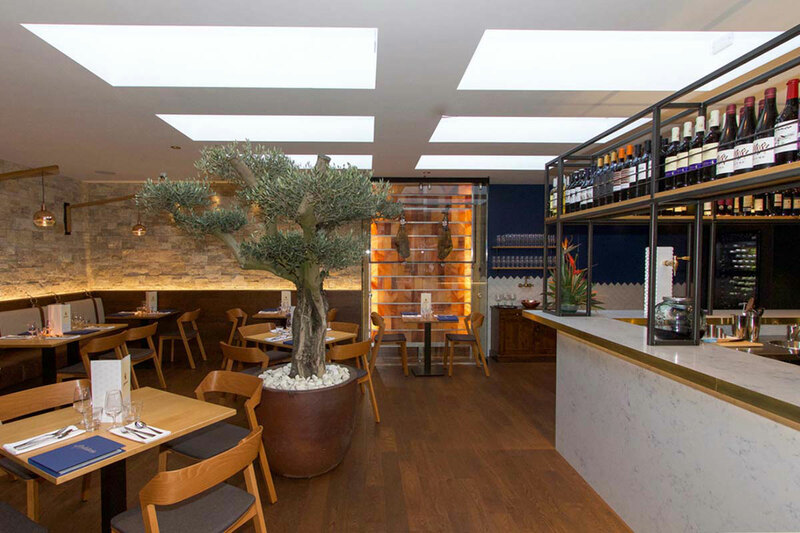 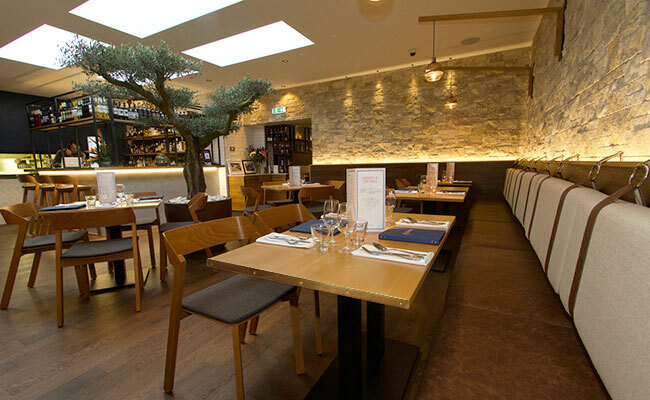 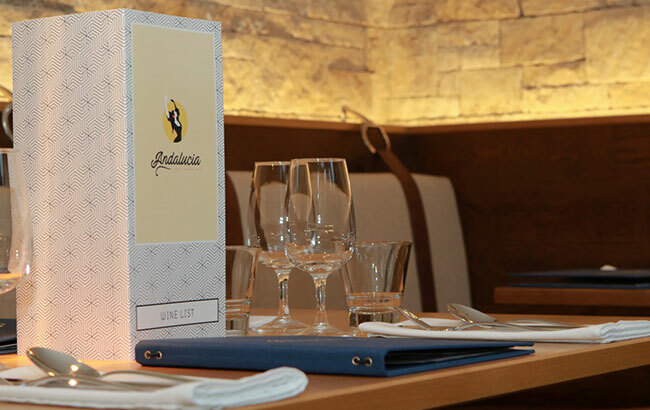 Out of several design and architectural agencies, Blenheim Design were chosen to redesign the family run Spanish Tapas Restaurant. 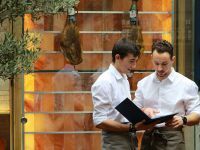 The restaurant now offers a private dining room for functions, a bar to sit and enjoy a beverage or bar snack, a humidity controlled Andalucían jamón display, unique carving station and three waiter stations including one with a decorative yet functional water font. 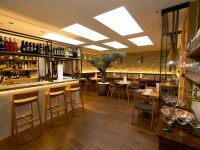 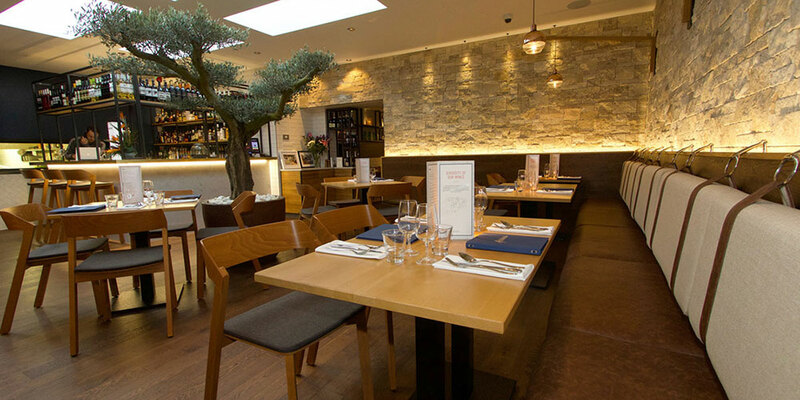 The client thinks new tapas restaurant design is superb and so do we. 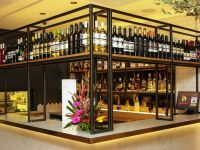 There are 76 covers across the two new bars and restaurant, 51 in the new restaurant extension and 25 in the front bar café. 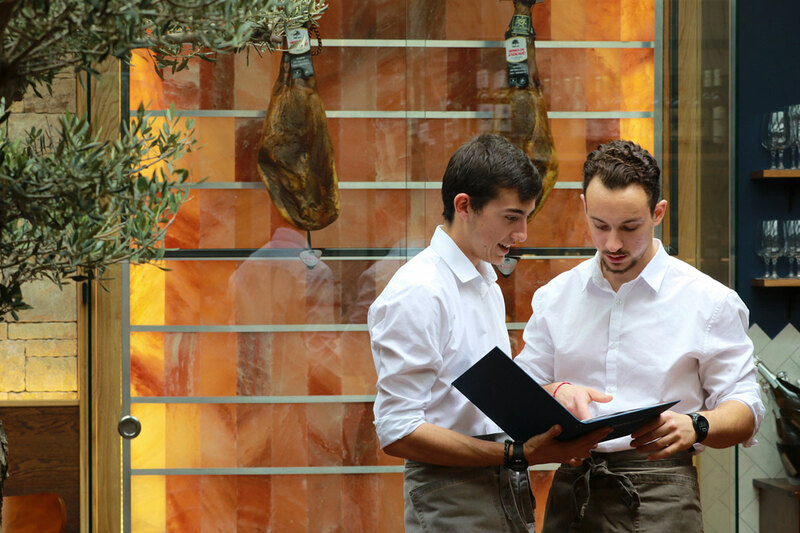 The interior concept draws inspiration from Manuel's upbringing and surroundings in Andalucía. 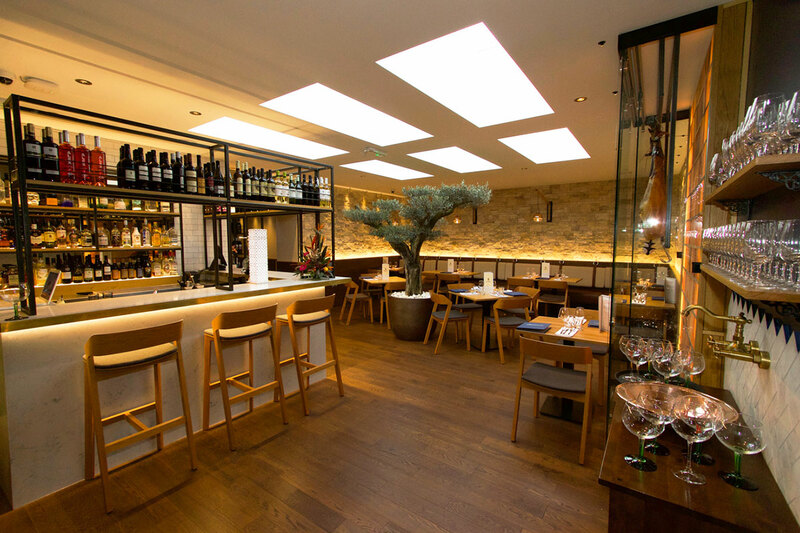 Diners sit amongst walls adorned with rich timbers, tiles and highlighted feature stone walls show off the honest natural textures creating the warm cosy ambience. 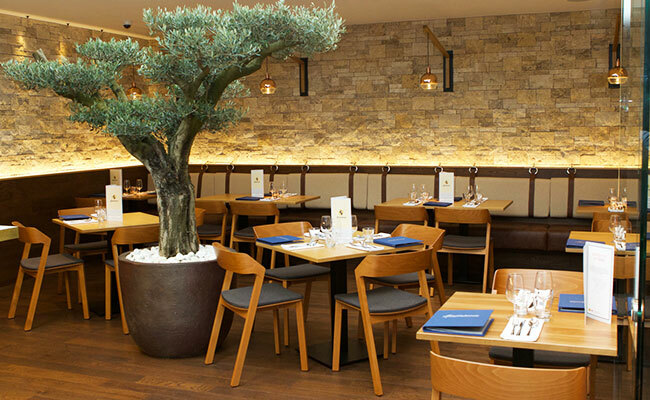 There is even a nod to the Moorish crockery found in Spain by decorating walls in deep blue. 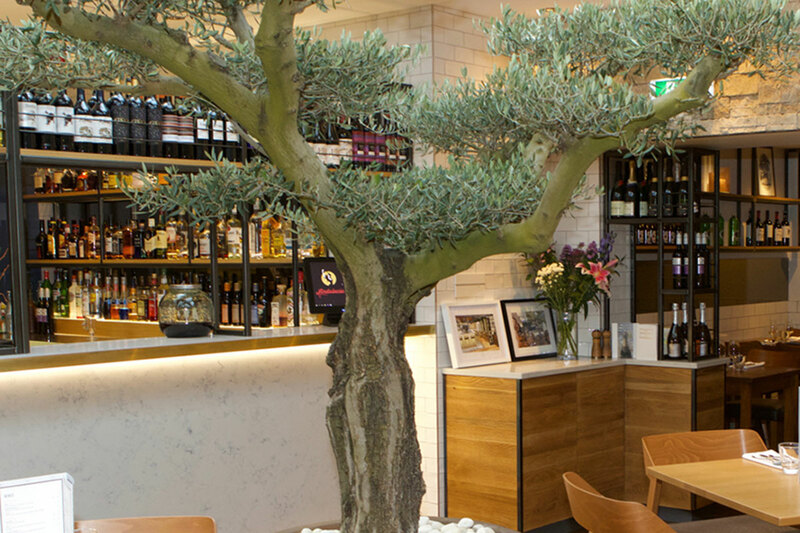 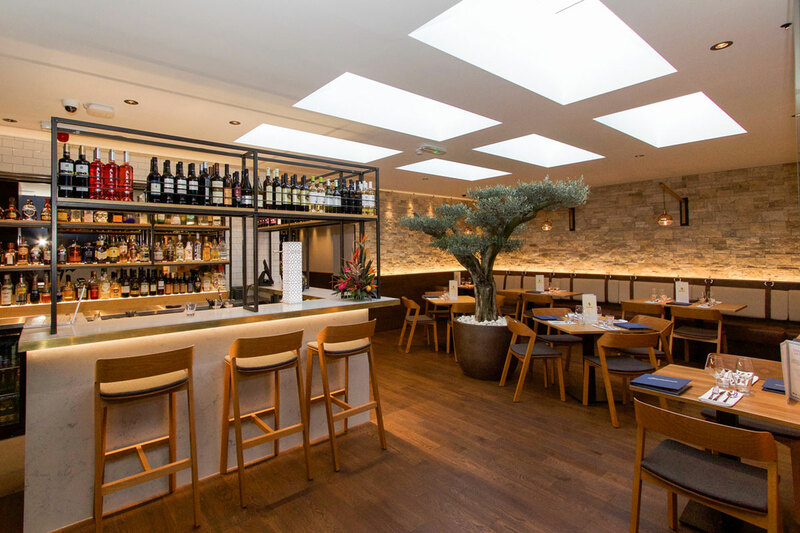 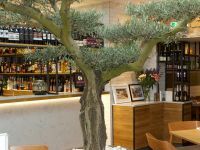 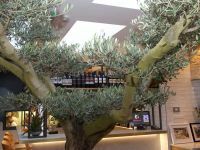 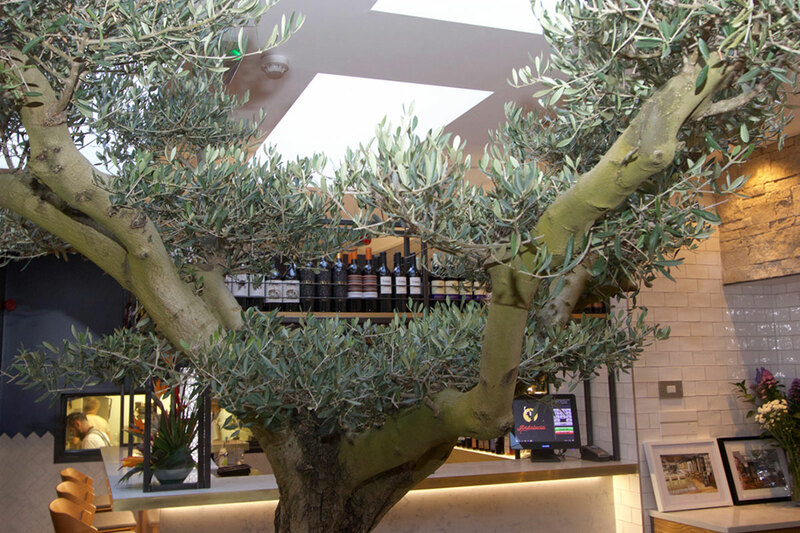 A large olive tree graces the centre of the restaurant below roof lanterns which slide open in summer to complete the Andalucían al fresco experience. 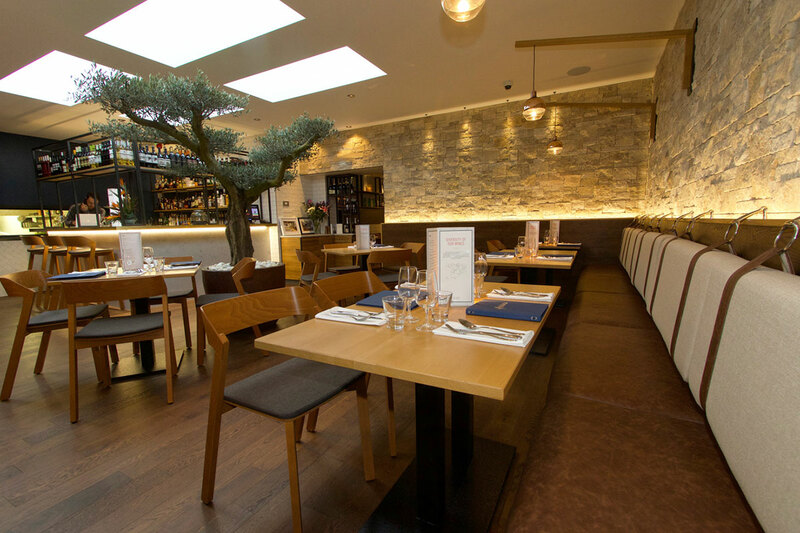 The banquettes are upholstered in chestnut leather and fixed against rich timber and pale stone walls, whilst the seat backs are pale linen pillows held up with leather straps and fastened with horse’s eggbutt snaffles, another nod to the Andalucía area of Spain through their famous horse breed. 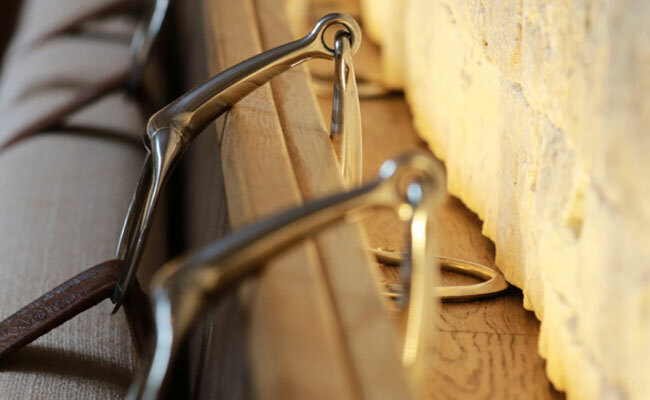 Aged brass trims have been incorporated into the fittings and accents. 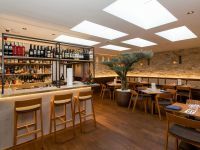 The environment benefits from recessed general ambient lighting and bespoke handmade wall and pendant lights strategically positioned over table groupings or to highlight wall features. 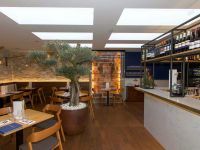 The full height jamón case is a real triumph with the use of LED lighting behind the Himalayan salt blocks wall it creates another level of warmth and interest. 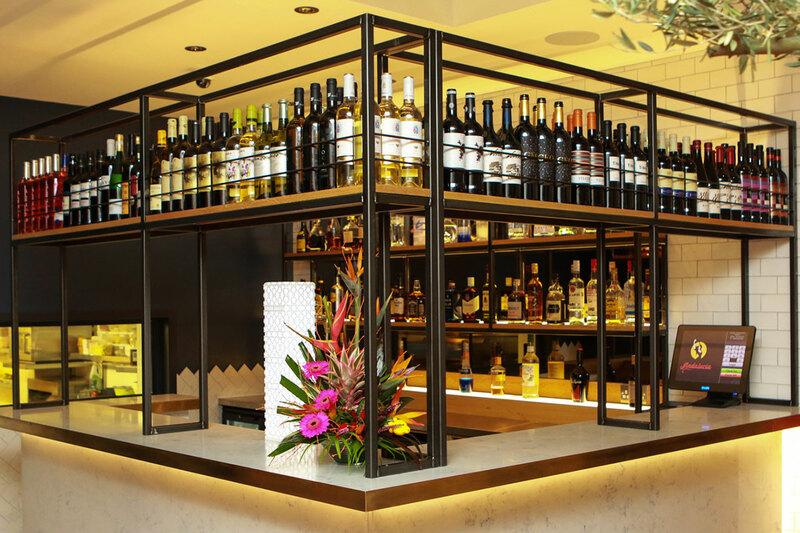 For a larger dining group or party the private dining area can be secluded by a lightweight pull across curtain. 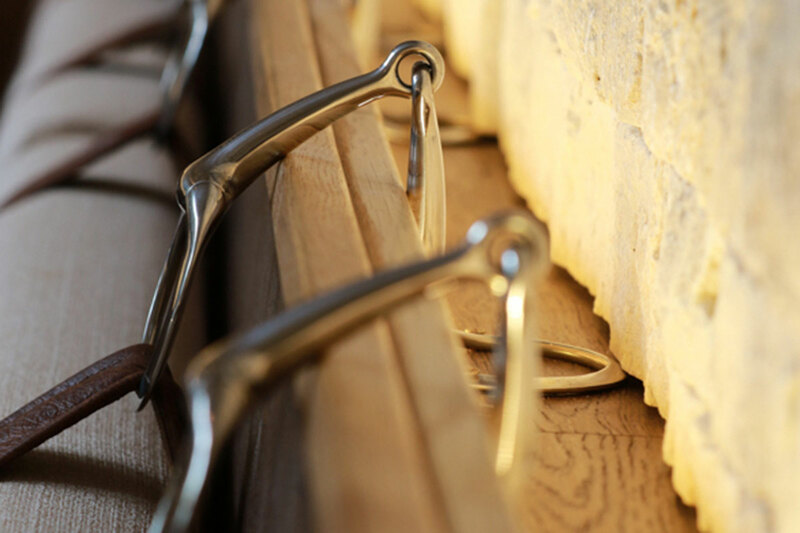 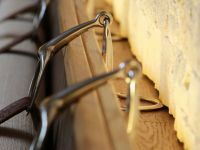 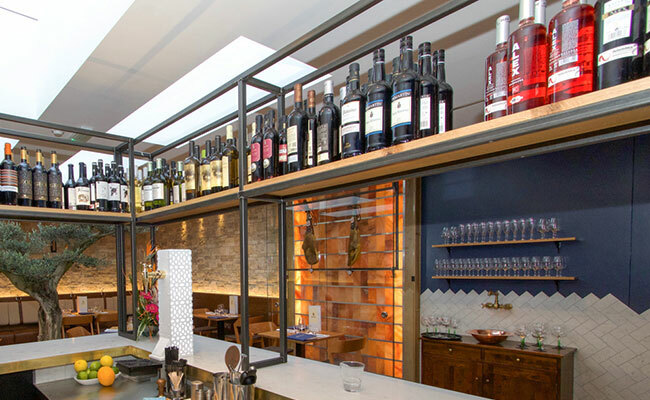 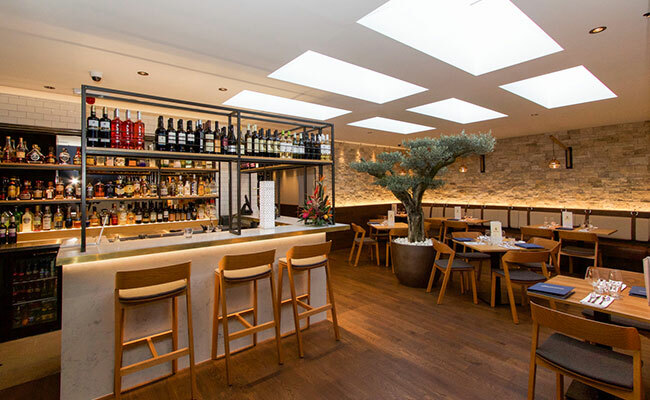 Here the restaurant steps into an environment of artefacts and displays of Spanish wines across the walls - and the timber, marble and steel waiter station stands out amongst rich timber doors and windows with exposed steel nail heads. 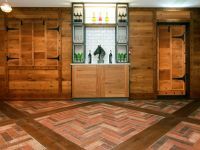 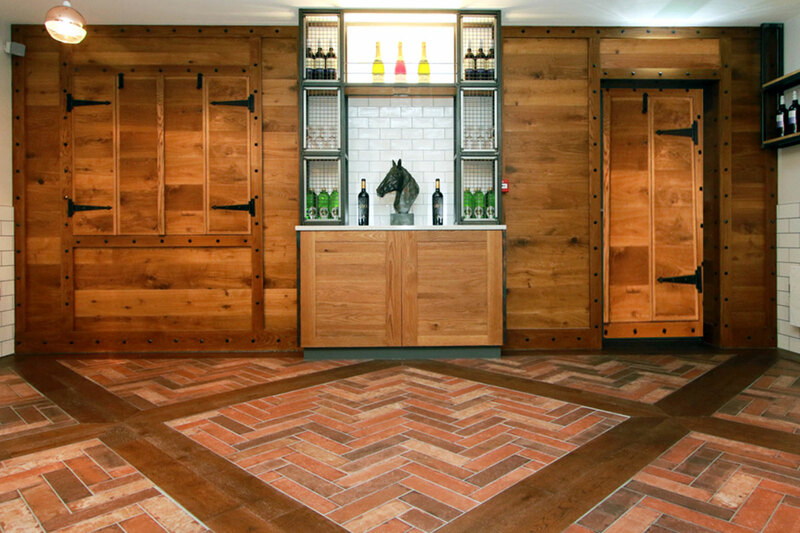 The flooring really sets the room apart through using brick effect tiles and inlaying timber planks in large diamond patterns, the effect reminds us of an ancient bodega floor. 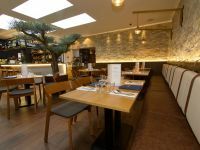 The room isn’t a contrived reproduction but the slightly lower ceiling height adopted from the new building lent itself to a change of pace, as can be seen here with alternative decorations and techniques used than is seen in the main restaurant.